Ringo Starr and George Harrison ride bikes. John Lennon and Paul McCartney run. 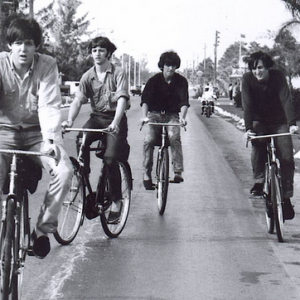 Ringo, John and George stand by their bikes. 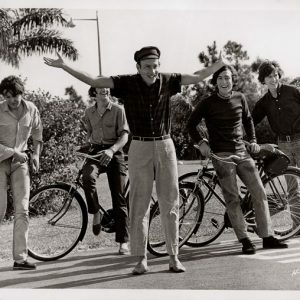 Paul shuffles cutely. Richard Lester directs. 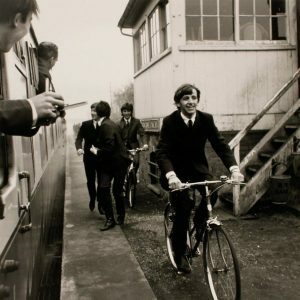 Paul McCartney, Ringo Starr, George Harrison and John Lennon ride bikes.